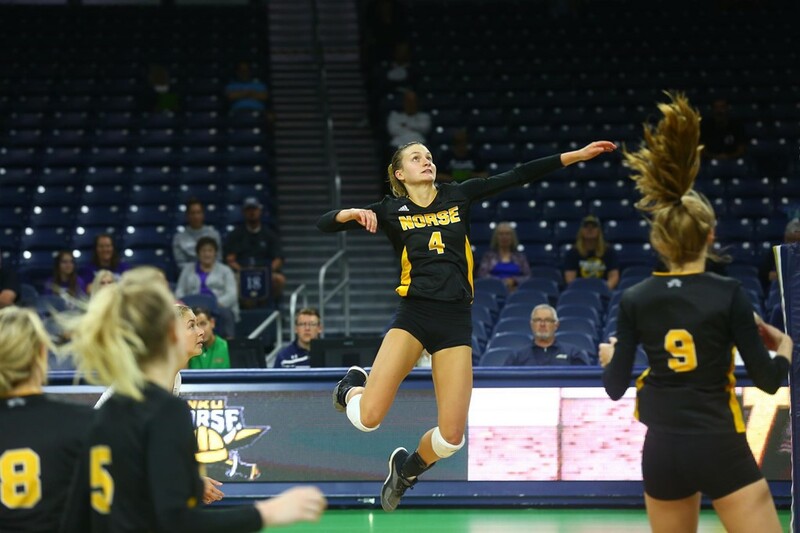 Northern Kentucky’s Haley Libs recorded her 1,000th dig last weekend, earning membership into the 1,000 kill/1,000 dig club with an 11-kill, 15-dig double-double against SIU-Edwardsville on Friday. All told, Libs has registered 1,296 kills and 1,014 digs. Seven players reached the 1,000 kill milestone on Week 4, upping the total of active 1,000 kill club members to 62. Seven players joined the 1,000-dig club, moving the number of active members to 125. Meanwhile, Notre Dame’s Ryann DeJarld became one of just three active players with 2,000 digs to her credit. Sabryn Roberts, Boise State (1,063) – notched a team-best 18 kills against Washington to become the 15th member of the school’s 1000 kill club. Laura Masciullo, Hofstra (1,039) – pounded down a career-high 28 kills to reach 1,000 in the team’s Saturday match with Columbia. Ragni Steen Knudsen, UTRGV (1,029) – tallied a match-high kills against Texas Tech in front of record crowd to reach 1,000. Carly Skjodt, Michigan (1,013) – posted 12 kills in the Wolverines’ Friday win over Notre Dame, reaching the milestone with her final kill of the night. Alexa Smith, Colorado (1,010) – joined the club with a 12-kill effort against Colorado State on Saturday. Devon Rachel, College of Charleston (1,008) – downed 21 kills in a four-set win over Liberty to join the club. Brooke Peters, Purdue (1065) – needed just three digs heading into last weekend’s Crimson-White Tournament at Alabama and joined the club in the team’s opening match against Southern Miss. Kirstyn Sperry, Bryant (1027) – posted a 24-assist, 15-dig double-double against Delaware to surpass 1000 digs. Hayley Dotseth and Anne Rasmussen, South Dakota (1025, 1001) – both players notched their 1,000th digs in the team’s matches with Montana and Cal State Bakersfield respectively. Haley Libs, Northern Kentucky (1014) – with 15 digs against SIUE, Libs joined the 1,000-dig and 1000/1000 clubs. Kenzie Maloney, Nebraska (1008) – pulled up 17 digs in the team’s Husker Invite finale against Missouri State to reach the milestone.